Travellers have discovered Cape Verde as one of those picture perfect destinations that we all dream about while planning our next holiday. You can expect good weather during your Cape Verde travel all year and it has gorgeous sun soaked beaches, delicious local food, quirky shopping and a variety of accommodation choices. Cape Verde is an archipelago off the coast of Africa, to the west of Senegal. 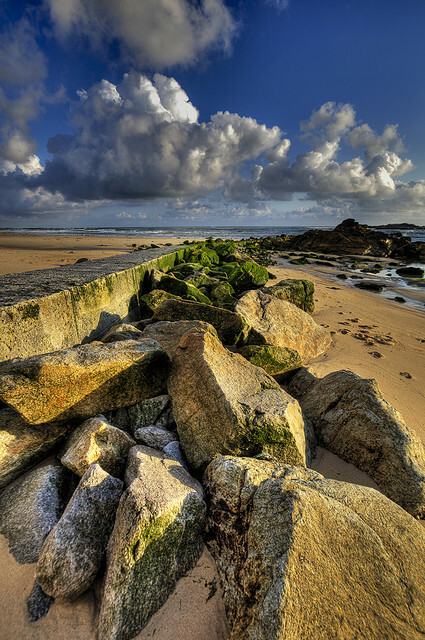 It was discovered and settled by the Portuguese in the 15th century. 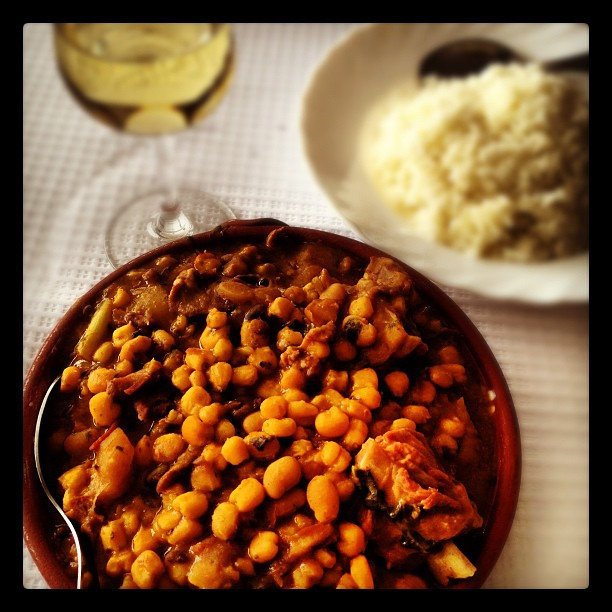 As a result, it has an exotic mix of African and Portuguese traditions, cuisine and music. The official language in Cape Verde is Portuguese, although the majority of locals speak a Creole language called “Kriolu” that is largely based on Portuguese with a small percentage of West African words mixed in. Praia (which literally means “beach”) is the island’s capital and largest city, an important port town and commercial centre. The weather in Cape Verde is almost perfect since the waters of Atlantic Ocean provide more moderate temperatures than in mainland Africa. Average daily high temperatures are somewhere between 23 and 29 degrees Celsius (73 and 84 degrees Fahrenheit). The islands of Cape Verde receive little rainfall which results in a semi-arid climate, especially along the coast. Humidity in the mountains and farther inland is higher, which provides for greener landscapes. Santa Marina is a fishing city and has recently been developed into a resort town whose main feature is its long, flat and sandy beach. One of the popular places to stay is the Odjo d’Agua Hotel, the only hotel in the Santa Maria Village that is literally right on the beach. As a bonus the hotel has its own private beach area with a bar so you won’t have to wake up early and run to the beach to reserve a sun bed for the day. 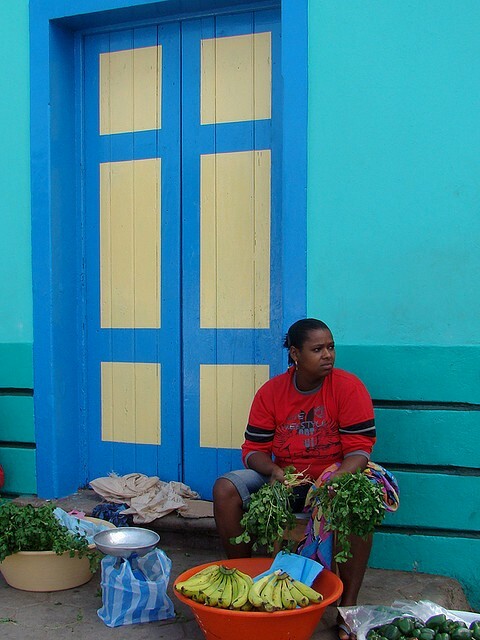 A Cape Verde travel itinerary would not be complete without tasting the local cuisine which has strong Portuguese influences and one of the best local dishes is “cachupa”, a simmering stew of beans, corn, herbs and your choice of fish or meat. Try the fish cachupa for a uniquely Cape Verde meal; it is actually considered the national dish of Cape Verde. Lagostada is another widely eaten lobster dish. 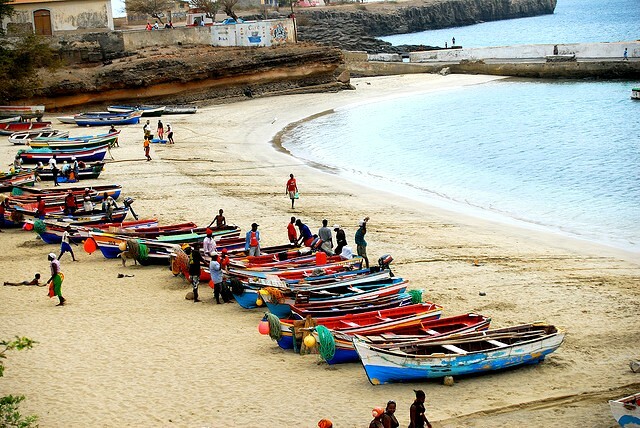 Sea food lovers will definitely enjoy Cape Verde. 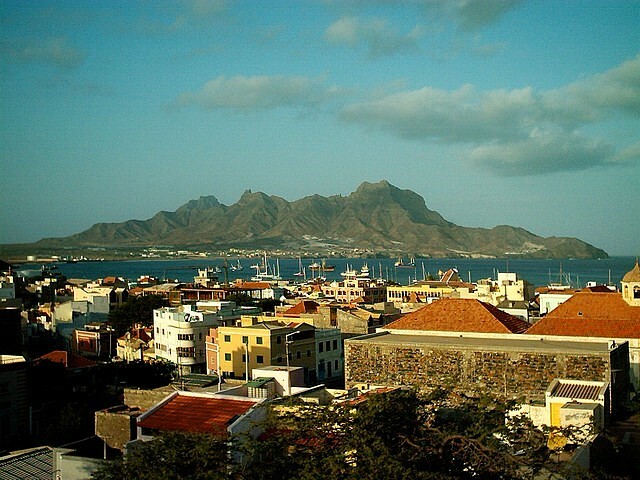 Mindelo is well known for its laid back, bohemian ambience and beautiful surroundings. It is set around an active port and surrounded by mountains. The cobblestone streets, brightly coloured buildings and hum of activity are totally enchanting. 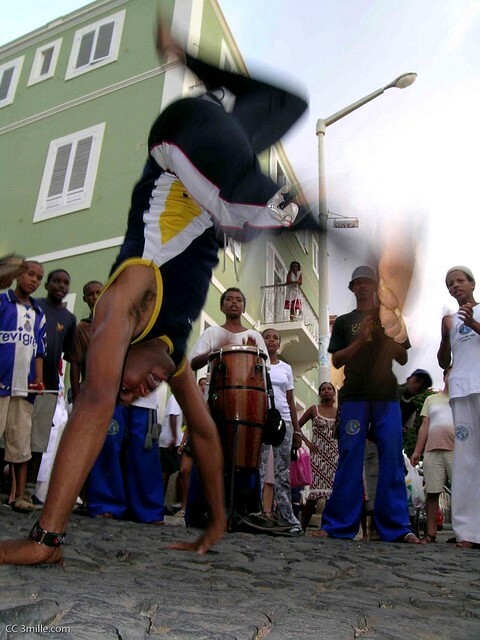 It is also the creative home of Cape Verde and has produced many poets and musicians. There are buskers galore and travellers love to sit in an outdoor cafe at dusk watching the hustle and bustle pass by being serenaded by a nearby musician. One of the most well-known personalities born in Mindelo was famous singer Cesaria Evora who enchanted the world with her soulful songs until her passing in 2011. Don’t be tempted to join a turtle watching tour. Turtles have an incredible sense of smell and a gaggle of tourists with their unique odours will sometimes cause the mother turtles to leave and neglect their eggs. Make a donation to the local conservation group called SOS Tartarugas instead. The Cape Verde currency is called the Escudo and is not legal tender outside the region. There are banks at the airport so don’t worry if you forget to do it beforehand. Whether you are planning to simply relax and enjoy, go game fishing, kite surfing or get involved in other water sports, the wide range of Cape Verde travel opportunities will enchant you with its great climate, long beaches and laid back culture.